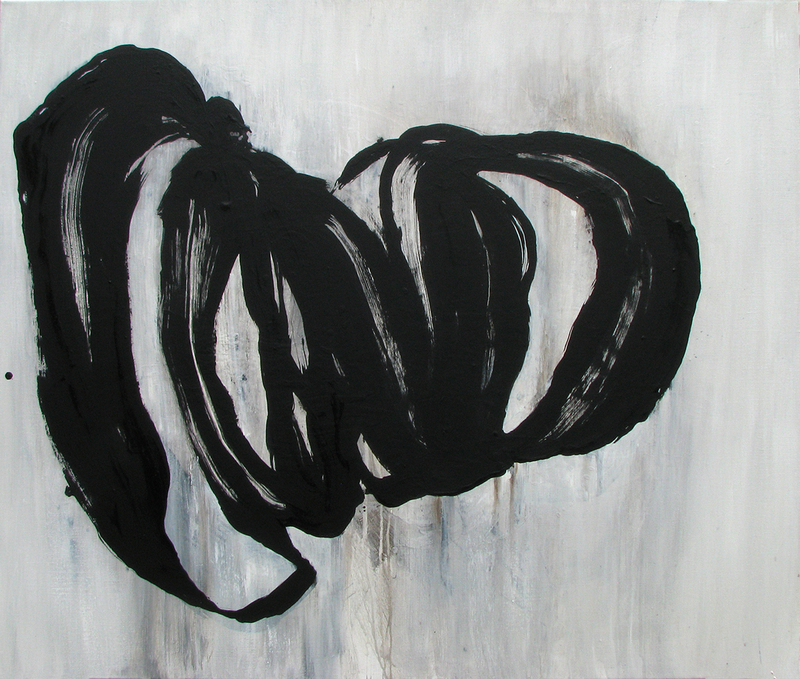 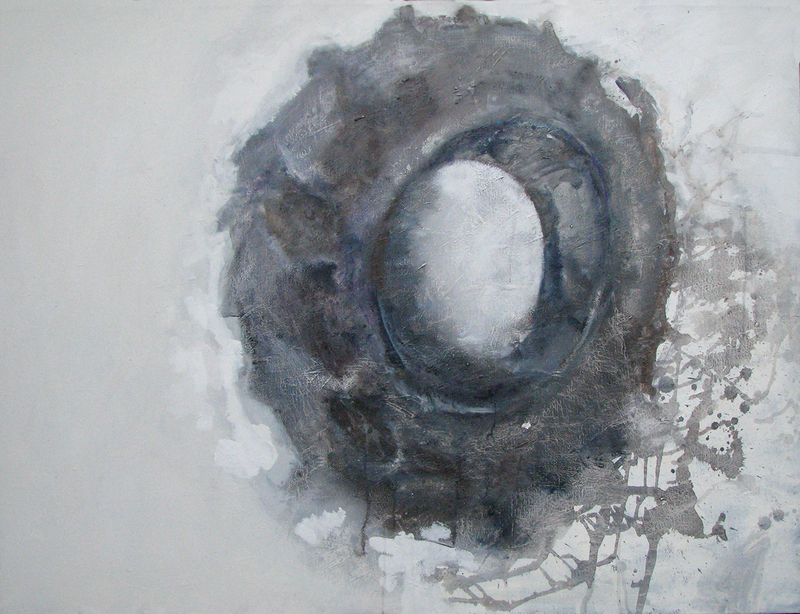 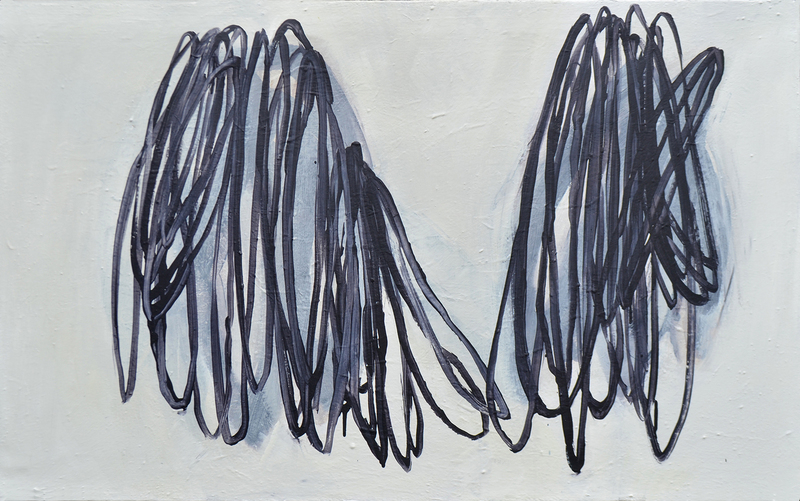 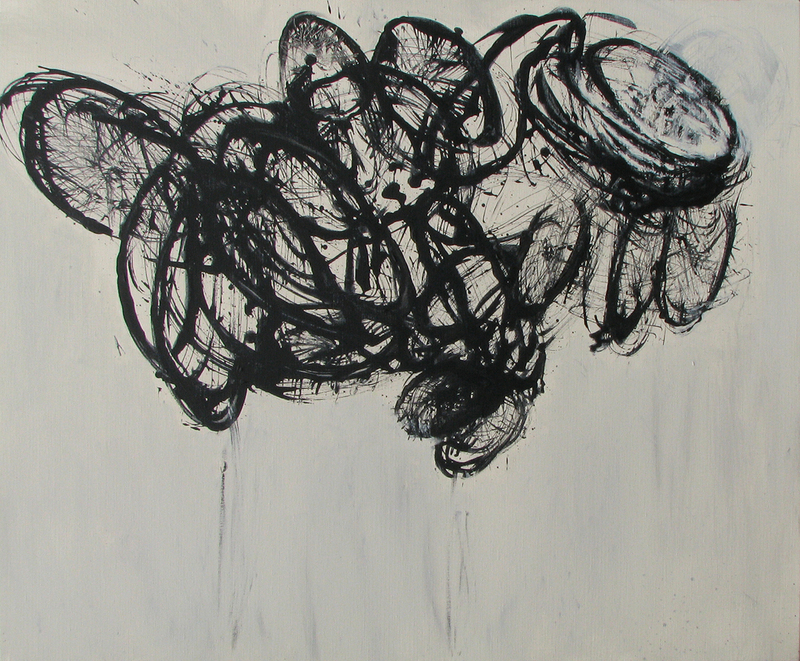 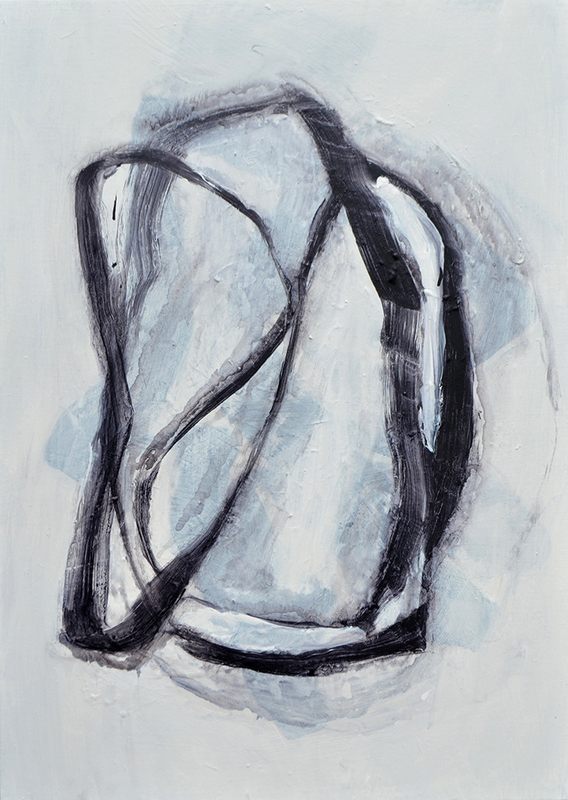 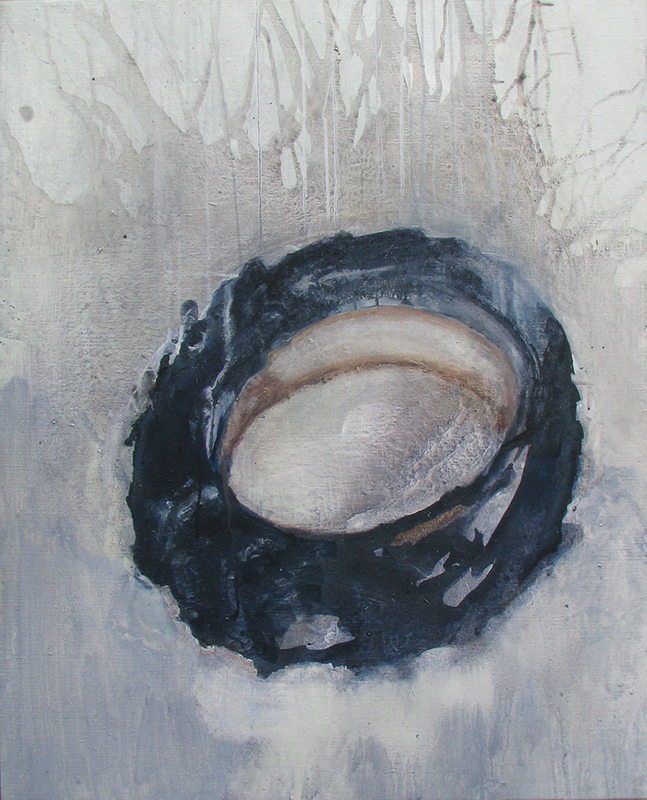 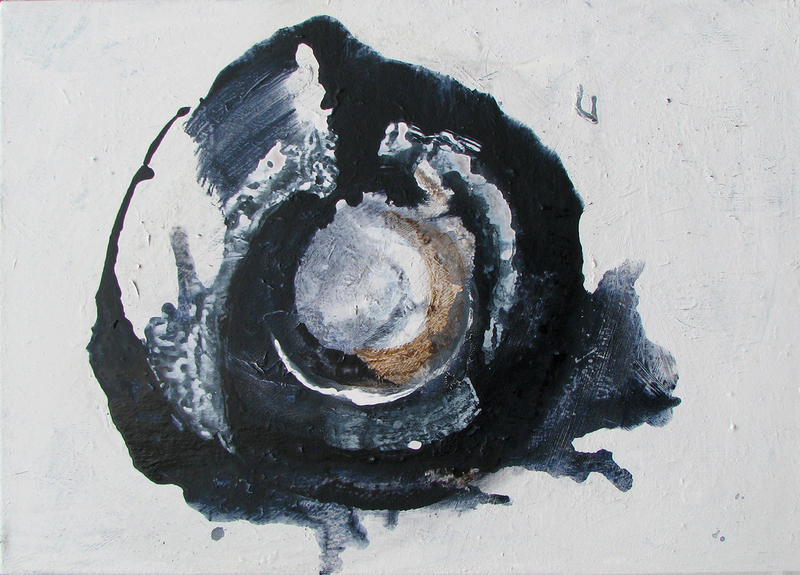 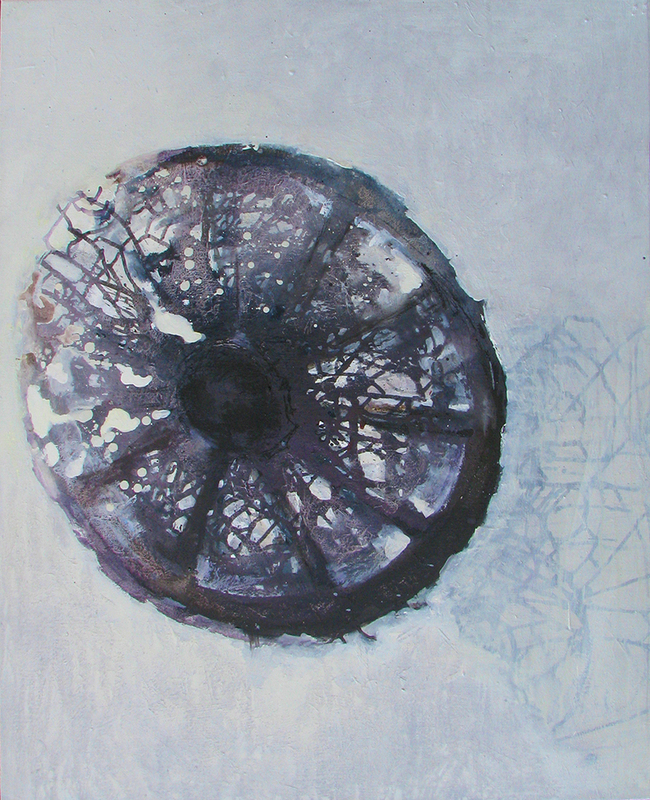 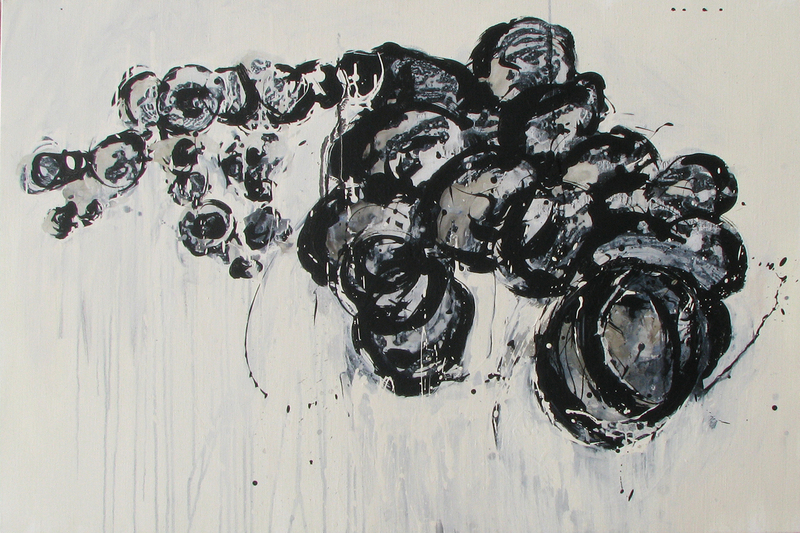 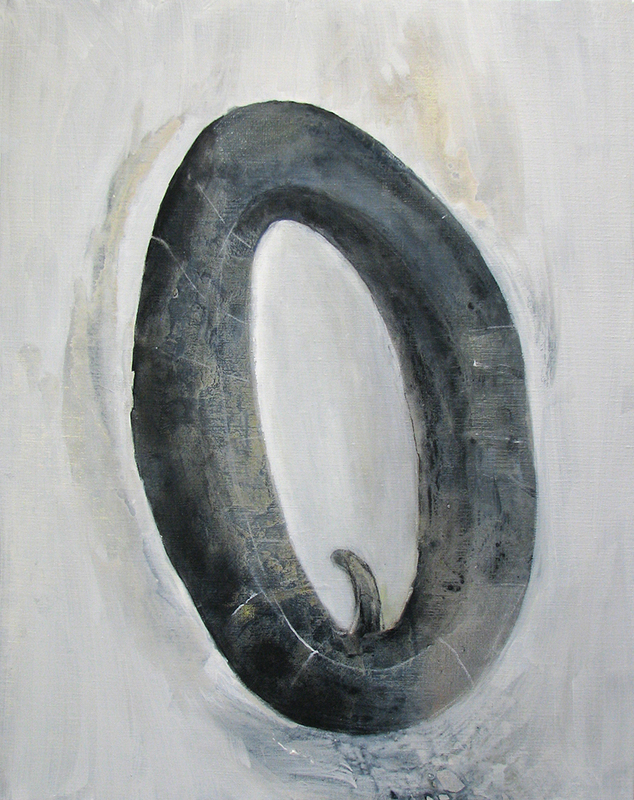 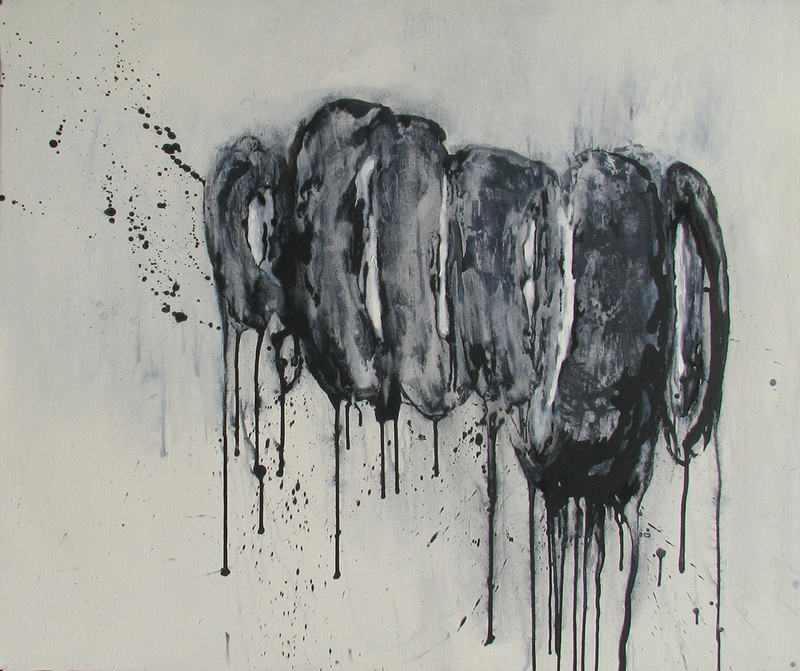 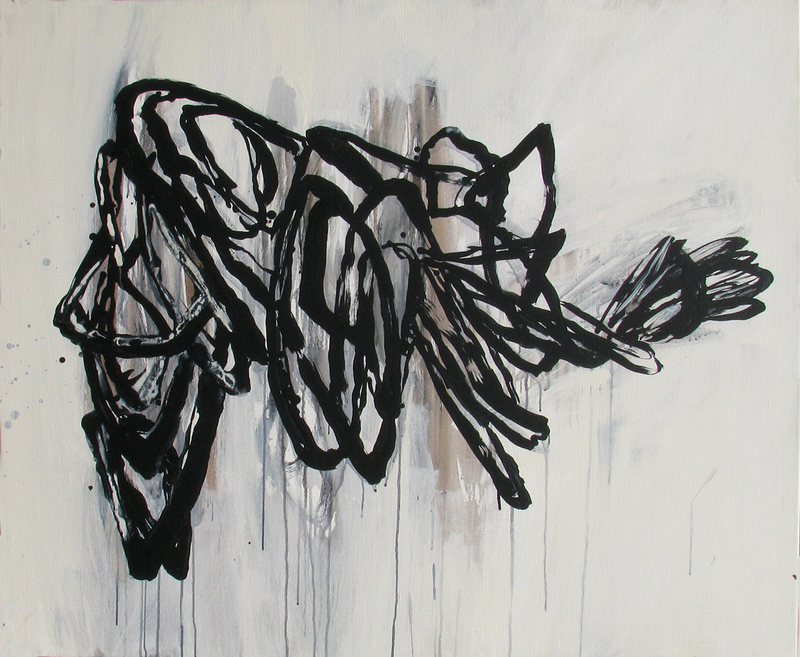 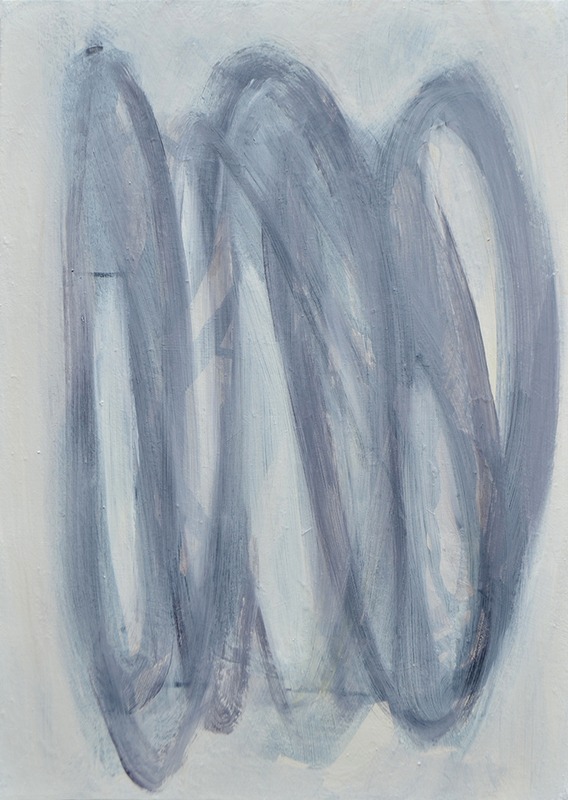 In this series of paintings the wheel is symbolic for the recognizable circle we follow in our thoughts and emotions. 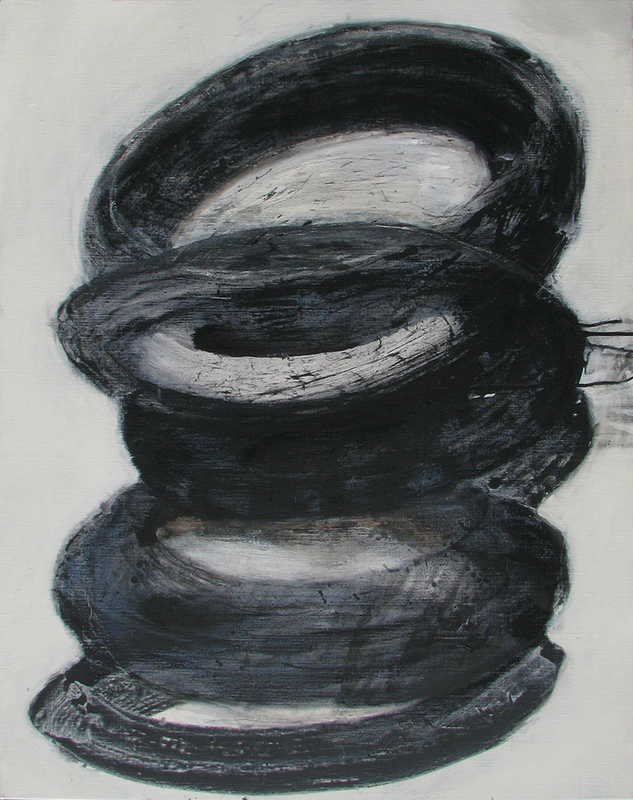 Sometimes it seems we are endlessly turning in circles, without having a will of our own moving on and on. 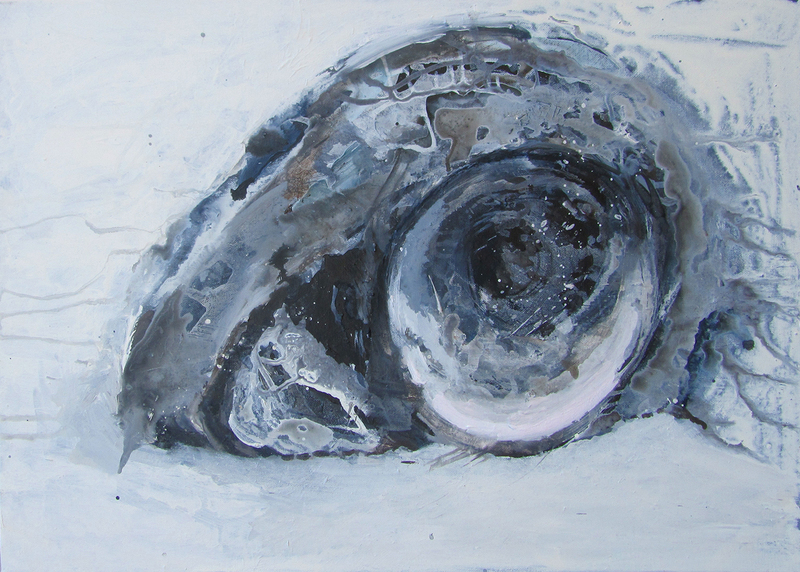 On the long run something does change. 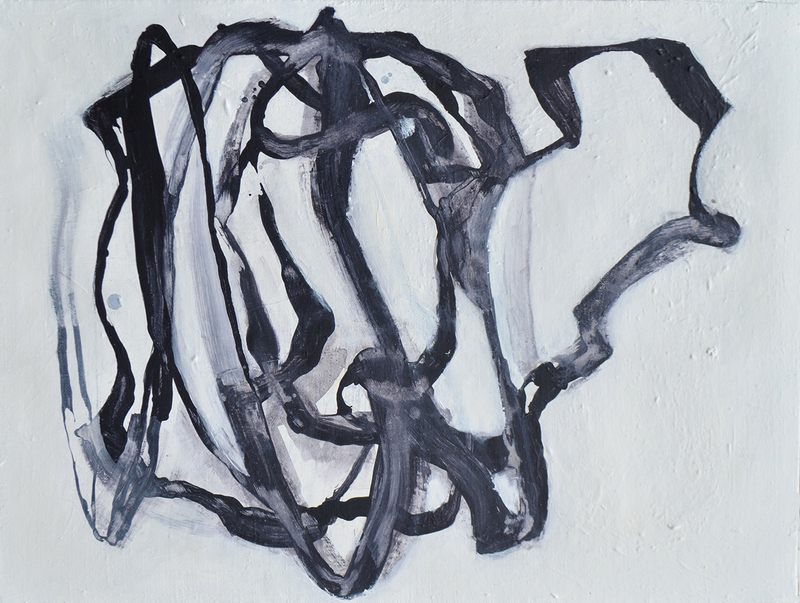 We don’t follow straight lines, but we move along big and sometimes a chaos of circles. 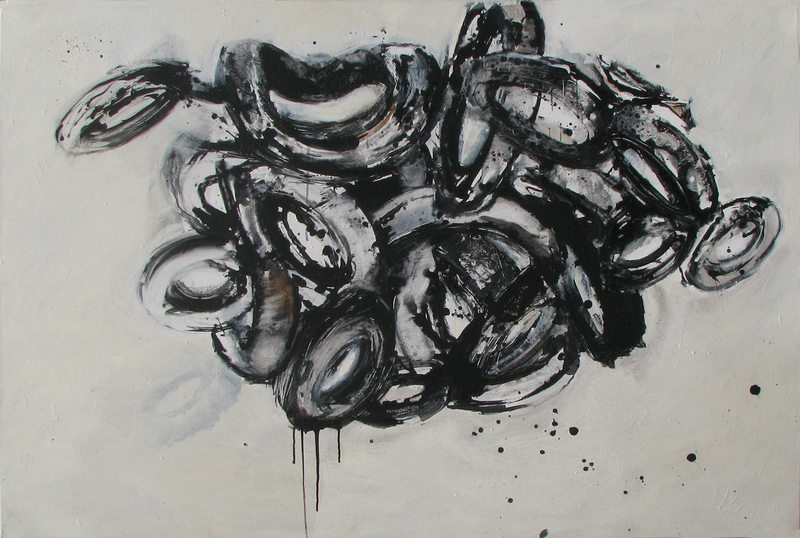 The clouds of bicycle wheels, blown up inner tubes or a simple tractor wheel serve a complex motive.